Glass coloured in red-violet on both sides; bezel, bevelled towards the back; oval; frontal angle rounded. One line of cursive script, without dots. Beneath a date. The letters and the numbers are engraved and colourless. There are very schematic stems consisting of simple strokes, without any definite floral endings, spread on the ground. One oval concentric line follows the shape of the gem. 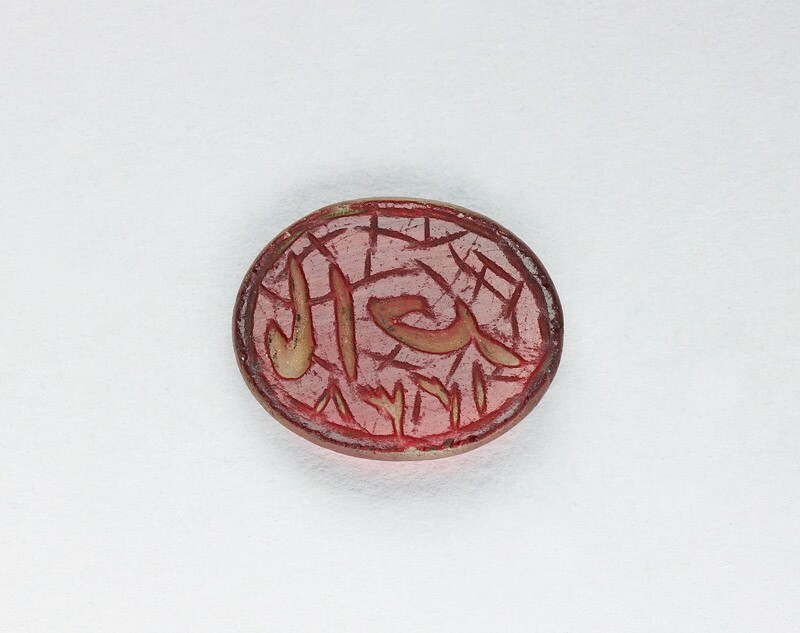 This object could be considered to be a seal-talisman because of the transparency of the glass, which allows the reading in 'positive'.